Thanks to Nate for pointing out this new radio. 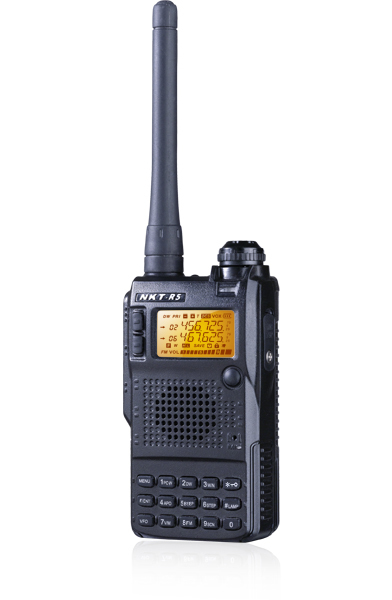 A new day, a new Chinese HT... this time it is the NKT NKT-R5. My best guess is that this is the company and the product page. The Transmission1 guys think it looks like a VX-8. You can buy the NKT-R5 at the 409Shop for $57.00 (USD). I briefly mentioned the NKT-R3 way back in July 2011.